In the years before the publication of the book, “Alcoholics Anonymous,” we had no name. . . . By a narrow majority the verdict was for naming our book “The Way Out” . . . One of our early lone members . 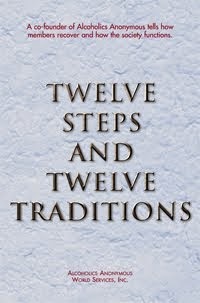 . . found exactly twelve books already titled “The Way Out” . . . 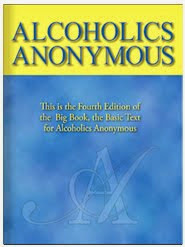 So “Alcoholics Anonymous” became first choice. That’s how we got a name for our book of experience, a name for our movement and, as we are now beginning to see, a tradition of the greatest spiritual import. Beginning with Bill’s momentous decision in Akron to make a telephone call rather than a visit to the hotel bar, how often has a Higher Power made itself felt at crucial moments in our history! The eventual importance that the principle of anonymity would acquire was but dimly perceived, if at all, in those early days. There seems to have been an element of chance even in the choice of a name for our Fellowship. God is no stranger to anonymity and often appears in human affairs in the guises of “luck,” “chance,” or “coincidence.” If anonymity, somewhat fortuitously, became the spiritual basis for all of our Traditions, perhaps God was acting anonymously on our behalf.